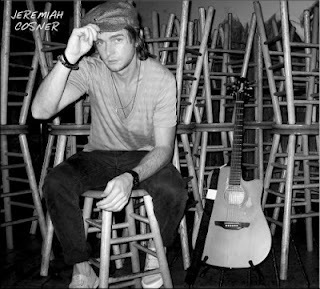 With the release of a four-song EP of original songs called Hold Steady in December of 2010, Indiana’s Jeremiah Cosner was able to leap forward musically with an album recorded at the Sound Kitchen in Nashville, Tennessee, and filled of robust-sounding Black Crowes/Rolling Stones/Faces rock. Hoosier-based Cosner has shed his band, and has been playing solo shows. And maybe the only thing between some deserved notice by American rock fans here in Indiana is more gigs. His opening slot at the Rathskeller on Friday night with the Nashville-via-Michigan rock/pop of Brent James and the Contraband is a good match, pairing him with James, whose Moment of Silence album rocks with a Train/Why Store sound. The 2007 IU School of Music grad says he has been writing for a new record (or two), contributed a charity song called “Reflection in the Water”, the songs have been used in a movie called “The Big Idea”, and Cosner has a wild idea to build a studio in a trailer. Rockforward: When have you been writing new music? Jeremiah Cosner: All day, every day. I now have enough material for three to four full length records. Acoustic and organic is my favorite way to write, and I am excited to record the new material. Rockforward: Hold Steady has a Stones-like vibe. How have those four songs helped your career? JC: The Hold Steady EP was recorded in Nashville at the Sound Kitchen. I have found releasing singles via iTunes is beneficial. “Money Maker” and “Lipstick & Cigarettes” have both been spun on the radio locally. Recently, I have written (music) for the Children’s Leukemia Foundation. Doing this type of work and writing has allowed me to become an affiliate with SESAC and start my own publishing company, Baby Blue Café. Rockforward: How has Indy been treating you? What are the differences you feel and see when you venture outside the Indy to play? JC: Indy is great (but) traveling is hands down my favorite thing to do, so anytime I get the chance to play in another city I take full advantage. Nashville is my favorite place to play simply because the city is a melting pot of anything that has to do with music and has allowed for my network to grow tremendously. When I venture out of Indy I realize how many other events and organizations are built around working with independent performing artists to gain exposure. I was fortunate enough to get involved with Music City Circus (in Nashville) and showcased with other talented artists at Nashville’s 12th and Porter. That gig led to meeting and greeting new friends who introduced me to the Sound Kitchen to record Hold Steady. Rockforward: How have you been touring? Band or solo? JC: I have not toured with a full band since 2010. Traveling as a solo act is more rewarding and easier as I journey out. 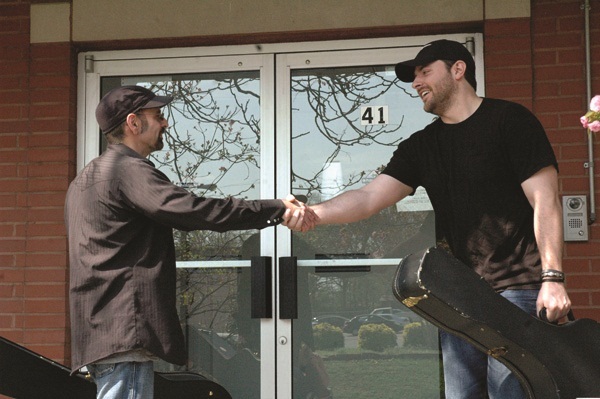 I have a revolving door of very talented musicians who lend a helping hand when I need it. All of us share one musical influence: 70′s rock and artists like Van Morrison, Bob Dylan, Joe Cocker, Rod Stewart, and the Rolling Stones. Rockforward: What have you been listening to? What bands should we all turn up to 11? JC: Recently I have been listening to Bachman Turner Overdrive, Elvis Costello, and The Marshall Tucker Band. But anymore, I get a kick out of finding Tom Jones records or some good Neil Young. Current bands that flip my switch are The Alabama Shakes, Kasabian, and The Band of Skulls. Rockforward: Future plans that we’d find interesting? JC: A few talented people and I have plans to build a studio within a Streamline Trailer that will sit on a few acres of land down south. This is where we want to be as creative as possible and pump out songs, movies, ideas, and other productions. Keep an eye out for a new bluesy rock record I plan on cutting by the end of 2012. Satellite radio favorites Charm City Devils bringing take on folk staple to Flint, MI. These days, Charm City Devils are learning the effect that satellite radio actually has on record sales. 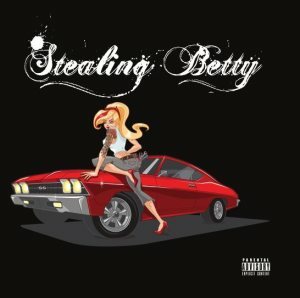 The Baltimore hard rock band recently released its take on the American folk song "Man of Constant Sorrow," which has received major airplay on Sirius/XM stations like Octane. "They've been in the forefront of the airplay with that and I think it's part of the sales nationally, especially where there isn't a traditional or terrestrial rock station," said lead singer John Allen, a former drummer with the band SR-71. "We're looking at sales reports and we're going, 'Why are we selling this and that in record stores in Cape Girardeau, Mo., or Paducah, Ky.? It's all grouped into one category. Maybe there's terrestrial station down there playing it, but we're unaware of it. It's perhaps the reach of satellite. It's phenomenal. It's so great." The choice was easy to cover "Man of Constant Sorrow," which was revived thanks to the George Clooney film "O Brother, Where Art Thou?" "That song, written in its original form over 100 years ago, it's stood the test of time," Allen said. "It's definitely a ringing endorsement to learn how to craft a song and do it well if you can." Through its popularity, Allen learned there's no set path to have success in the music business, as far as what channels a band must choose. "One thing that'll ring true -- it's as true 100 years ago as it was now -- if you write a song that connects with other human beings that is what is going to really stand the test of time," he said. "That's what's going to help you have success." 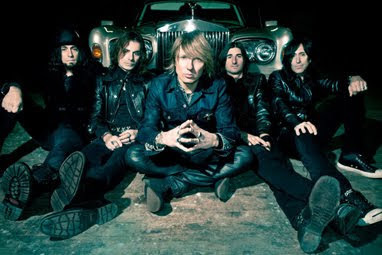 The song appears on Charm City Devils' sophomore album "Sins," which hits stores on July 31. It was recorded with the band -- which also includes Vic Karrera (guitar), Anthony Arambula (bass) Nick Kay (guitar) and Jason Heiser (drums) -- at Sound Kitchen Studios in Franklin, Tenn. "Sins" was produced by Grammy-winning knob-turner Skidd Mills, whose influence is far reaching. "When we started this record, we really wanted to expand our horizons on all fronts if we could," he said. "We wanted to improve the songwriting. We wanted to improve the playing, t he musicianship. We wanted to do better lyrics, everything, all encompassing. We wanted it to sound better than the first record. We wanted it to sound sonically bigger. "I think he did a really great job in achieving those goals. Of course we bit off a lot. We were attempting to not stay the same. We didn't want to stay stagnant with what we did on the last record. It's up to the public to decide whether we achieved it or not. But we feel really good about what we did collectively here." So far, so good. The WWE picked up its track "Unstoppable" as the theme song to its June 17 pay-per-view "No Way Out." Allen admitted he isn't a fan of wrestling or sports in general as he has tunnel vision for music. But he thinks he understands how the WWE can help his career. "I have fans that are just like, 'John, you don't understand. This is huge. This is going to take you to another level.' That's really exciting. That's fantastic. I know they have diehard fans and hopefully they'll be some transfer over to that. We were very excited when we heard they were using it when they were mentioning the pay-per-view special, like, two weeks ago and our song was under the bed. Our Twitter account lit up, our Facebook account lit up." Allen himself lights up at the very mention of playing The Machine Shop in Flint with Aranda and Theory of a Deadman on Monday, July 16. Allen -- whose former band SR-71 wrote "1985," a song made famous by Bowling for Soup -- has never visited The Machine Shop but has heard great things about it. "Everybody that I mention The Machine Shop to, they say, 'Oh, you're going to love that room,'" Allen said. "I love Michigan audiences, anyway. I've had the pleasure of playing the Intersection in Grand Rapids, played Pontiac, played DTE Energy Music Theatre. I played St. Andrew's. I'm familiar. It seems that people in Michigan love rock music. They love to come out and support live music. It's very cool." That’s how Bill DiLuigi (known as Bill “D” to most) summed up “Parking Lot Dancer,” the song he penned earlier this month with RCA Recording Artist Chris Young during his “dream co-writing session” in Nashville. 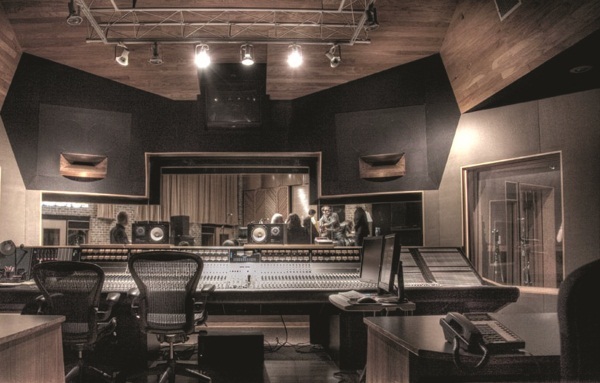 As part of his prize, DiLuigi also cut a demo for his original song “Between Nowhere And Goodbye” (stream below) at Sound Kitchen Studios, the venerable recording facility in Franklin, Tennessee. Grammy-nominee Kent Wells, who produced Dolly Parton’s Backwoods Barbie, helmed the session, which included an A-list of Nashville session players. Click here to enter the July/August Lyric Contest for a chance to win a Sheryl Crow Southern Jumbo Special Edition Guitar (MSRP $6233), as well as the 2012 Grand Prize “Dream Co-Write” and demo session. The band recorded ‘Sins’ at Sound Kitchen studios with Grammy-winning producer Skidd Mills (Saving Abel, Egypt Central). Charm City Devils are also gearing up for a string of dates at the end of April into May and they are confirmed to play Rocklahoma 2012. Go here to check out a full list of cities and dates. When Loudwire got the chance to chat with frontman John Allen, he spoke all about the new record, personal hardships, being a devoted dad and musician and much more. What made you guys do a cover of ‘Man of Constant Sorrow’? Well you know I love that movie [‘O Brother Where Art Thou’]. We talked about doing a cover a little bit and someone suggested ‘Man of Constant Sorrow’ and I thought back to the year of that album where that song was nominated for a Grammy – the performance that Ralph Stanley did live on the Grammys I remember it just sent chills down my spine. I thought “Wow, that was an incredible performance, that’s an incredible song so maybe we should take a crack at it – see if we can make it work in the rock world.” It was a challenge, but I’m really happy with how it turned out. It was a tough one with the arrangement, we had to change the arrangement quite a bit and we wrote the music to make it rock and I had to write a chorus. What you would think a modern day rock kind of chorus would be, the song didn’t have that – what we think of as a typical chorus. That was a challenge and the song was really long too, we had to cut it down to make it work and it’s still pretty long for radio these days. What is another song or artist you would like to cover? I really like blues and traditional type of songs, stuff that’s older. We’ve messed around in our live set we actually play a Black Keys song, well now it’s two records ago – ‘I Got Mine’ is the song that we do in our live set once in a while, which is a lot of fun. It’s kind of got a Sabbath-y, Hendrix-y, Zeppelin-y kind of vibe to it. I really dig doing that. What was the overall experience of recording with producer Skidd Mills? The last record was done over a period of several years and I did most of the tracks in my basement and the last three tracks recorded for that album, we did the drums elsewhere then it was mixed in another facility. So we really wanted to do this one, top to bottom, with one person and it was a real honor to work with Skidd. He’s had so much success, he’s a really great talent and to be able to record in Nashville was a great experience. When we went down there during pre-production work with Skidd, Dolly Parton was in the studio across the hall from us. You’re around that kind of stuff and you’re like “Wow” — it blows your mind? 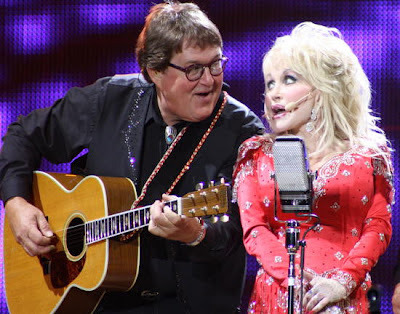 Would you ever work with Dolly Parton for a collab? Heck yeah, I would not turn that down. She’s a tremendous talent, a great song writer, just a force to be reckoned with. I read that there were a lot of feelings were buried and this record helped bring them to the forefront, can you elaborate on that and talk more about the inspirations for some of the themes of the album? Well a lot of frustrations and it’s life basically. We all go through it, I’ve been really fortunate in my life, I’ve just been so lucky in so many respects to not have to have dealt with some really heavy things and heavy obstacles throughout my life. I mean I was adopted but that wasn’t – it was a pretty charmed life admittedly. But right after the Cruefest tour, about several months after, I found out I had skin cancer. I wasn’t really afraid of dying or anything, I felt helpless. The doctors were gonna cut it all out and take care of it. It was Squamous Cell Carcinoma. The thing that bothered me the most was what would happen – I have two little girls at the time my oldest was three and my youngest was just a year and a half. So I figured the oldest one would probably barely remember me if at all and the youngest wouldn’t remember me at all. I just thought about how that would impact their lives not having a dad around. So that hit me really hard and then there are stories about relationships breaking up on the record, which everybody’s gone through. The opening number ‘Fight’ is about somebody really not believing in you and it’s about the business, about how difficult the music business can be. There’s a lot of life themes, one of the common threads along most of the songs is that of anger. Are your kids rocking out to the heavy stuff or not so much? They’ve heard ‘Man of Constant Sorrow’ around the house and they sing that. They’ll hear my stuff when I’m working on songs and playing the demos back and forth and I’m trying to listen to them and seeing what to work on. They get to hear the stuff first hand and I could tell if I’ve got something that’s working because my oldest she’s start – she’ll sing it when it’s not even playing or if I play a part of it and I stop it for some reason she’ll yell at me to keep playing it. Be careful, you might have a couple of little producers on your hands. [Laughs] Yeah I might. I need more women telling me what to do around the house [laughs]. I got three bosses at home. You said that you named the record ‘Sins’ because it was the one the one thing you guys could agree on since everyone has sinned in some way. Does that have anything to do with your life on the road? We’re good men on the road, we’re good boys – we’ve sinned enough in our earlier years. I’ve seen a lot of stuff in my days of touring, I played drums in a band called SR-71 and I joined the band right after they had a huge hit with ‘Right Now’ and oh my God the stuff that I saw on that tour bus when I went out with them. There were a couple times when I felt like I had to come home and shower for a week and get myself to church [laughs]. We got a lot of that stuff out of our system in our teens, we’ve all been playing music for a long time. So what’s life like on the tour bus these days? We don’t have a bus these days [laughs], we’re doing this on such an indie level. We were the only band on Cruefest 2 on the main stage that we were in a van, driving ourself. It wasn’t bad at all, I tell you I can’t complain – except for when we were out West and the cities were really far apart. There were a couple drives overnight where I stupidly stayed awake with the driver to make sure we didn’t end up in a ditch somewhere, there were some shows where I felt it the next day. We’re all such good friends we really have a good time out there. What is one band you would love to tour with that you haven’t gone on tour with yet? Probably Aerosmith or KISS — they’re just legends and two of my favorite bands when I was little. To meet those guys and be able to tour with them would be phenomenal. I look up and respect those two bands so much. I already got to tour with Motley Crue and that was phenomenal. I’m a huge fan of Shinedown, I would love to tour with those guys, we have friends in Theory of a Deadman, I would love to get back out with those guys. Black Stone Cherry, I’m a huge fan of those guys – this last record to me sounds amazing. What is one thing you need to bring on the road with you (no electronics)? Throat coat tea! [Laughs] It’s an herbal tea that taste awful and I take some of that before I go onstage. The way I sing, it tears up my throat so badly – it soothes my throat. That’s sort of a lame thing, what else? I can’t really think of anything else I need to take. I need to take my leather pants man! And a cucumber covered in tin foil! Gotta have that, like in ‘Spinal Tap,’ you gotta impress the ladies. Charm City Devils’ new album ‘Sins’ is now available at iTunes and Amazon.com.